Explore two of the most notable archeological sites in Riviera Maya in one day, with a beach break in between. First, head to Tulum to see the dramatic ruins perched on an ocean bluff. 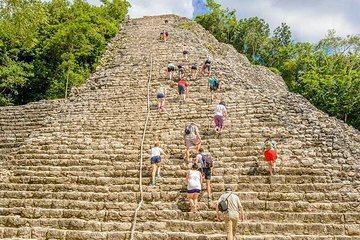 After free time and lunch, visit Coba, with its colossal pyramids, some of which you can climb.